From metric big to small, the HQ has it all. Pulling individual reports, finding patterns, scoping out improvements and making decisions—a manager's daily routine can be exhausting. The HQ simplifies all of this by bringing vital parameters to the forefront. Get live updates on your agents' availability. 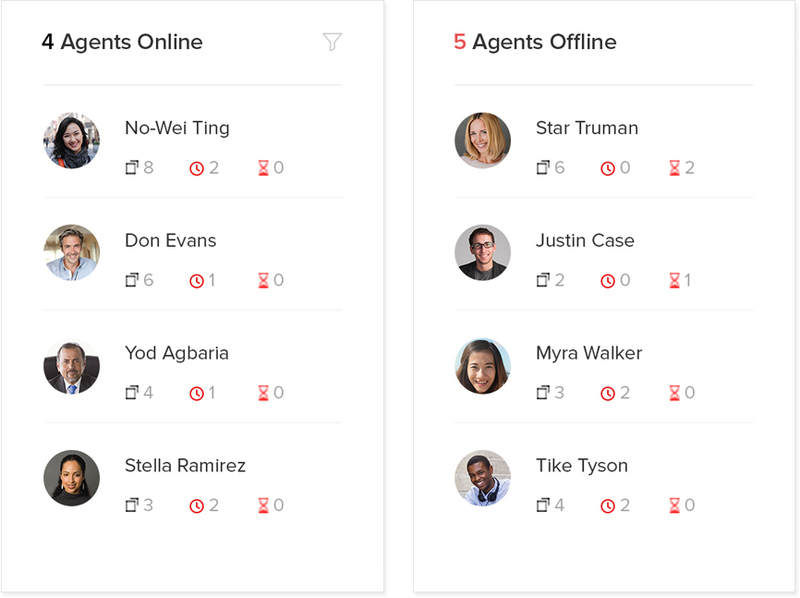 See who's offline, check on their most urgent tickets, and assign those tickets to other agents who are online. 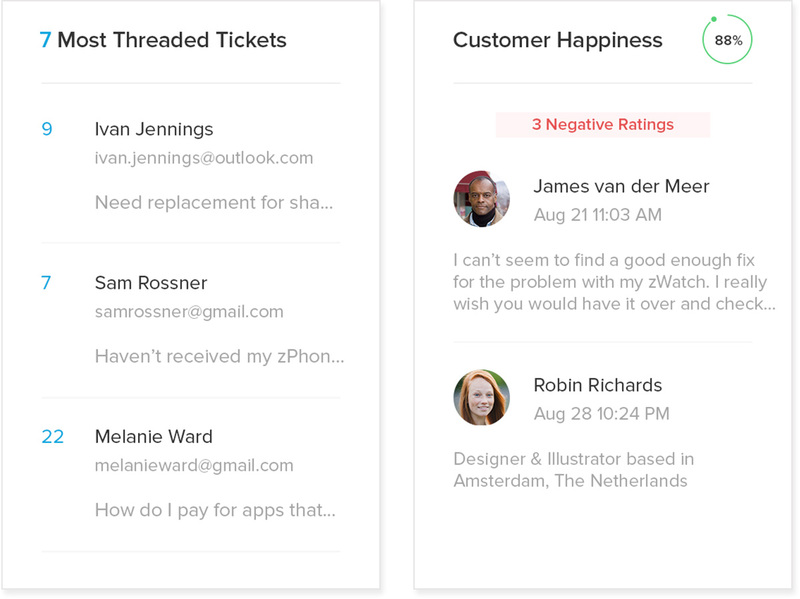 Monitor negative feedback and customer happiness. When a ticket remains unresolved after a lot of interactions, customers are bound to get frustrated. Track these conversations and go that extra mile to turn that frown upside down. Dig deeper into negative feedback, understand what went wrong, fix the situation, and win back your customer. Study your team's ticket traffic. Keep a watch on ticket traffic and response rates to see if your resources are being used right at different points of the day. These figures will help you identify activity patterns and optimize your team's customer service efforts. 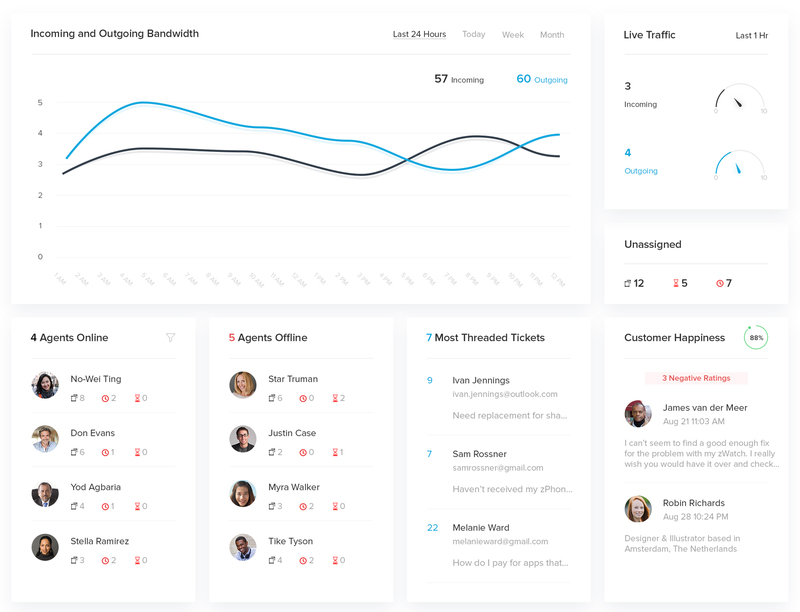 That's self-reporting software, so you can focus on making your customers happy.